Our vision, at the Self Regulation Institute, is informed by an International Research Advisory Board comprised of world-renowned scientists and thought leaders. 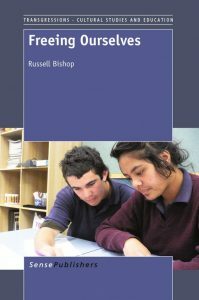 Dr. Russell Bishop is Emeritus Professor of Maori Education in the Faculty of Education at the University of Waikato, Hamilton, New Zealand. He is well known for developing and directing Te Kotahitanga, a large New Zealand Ministry of Education funded research and professional development project from 2001 to 2012. This project demonstrated how teachers and other school leaders could improve the educational achievement of Maori students in mainstream classrooms by implementing a culturally responsive pedagogy of relations. 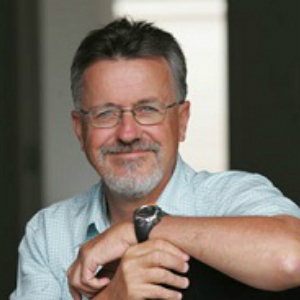 Since his retirement from Waikato University, he has developed the notion of relational pedagogy and leadership further with Cognition Education in New Zealand, Australia and Canada. He is the author of 7 books and approximately 80 other quality assured publications. He has delivered over 100 keynote addresses, nationally and internationally, has attracted approximately $32.5 million in research and development contract funding in recent years, and has won numerous awards for his work. 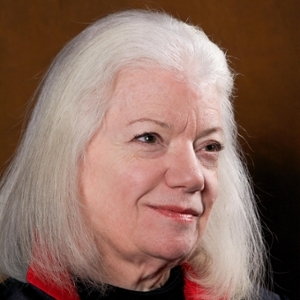 Dr. C. Sue Carter has formerly held the position of Professor of Psychiatry at the University of North Carolina, Professor Emerita of Psychiatry at the University of Illinois at Chicago, Distinguished University Professor of Biology at the University of Maryland and Professor in the Departments of Psychology and Ecology, Ethology and Evolution at the University of Illinois, Urbana-Champaign. Dr. Carter is past president of the International Behavioral Neuroscience Society and holds fellow status in that Society and in the American Association for the Advancement of Science. She has authored over 275 publications, including editorship of 5 books. 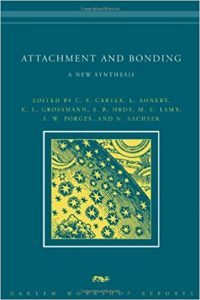 The most recent of these is Attachment and Bonding; A New Synthesis (MIT Press). Research from Dr. Carter’s laboratory documented the role of oxytocin and vasopressin in social bond formation. Her most recent work focuses on the developmental consequences of oxytocin, including perinatal exposure to synthetic oxytocin, and the protective role of this peptide in the regulation of behavioral and autonomic reactivity to stressful experiences. Dr. Meltzoff holds the Job and Gertrud Tamaki Endowed Chair at the University of Washington, where he is the Co-Director of the Institute for Learning & Brain Sciences. He received his BA from Harvard and Ph.D. from Oxford. He is an elected member of the American Academy of Arts & Sciences. Dr. Meltzoff is a pioneer in the study of infant learning and the development of early social cognition. 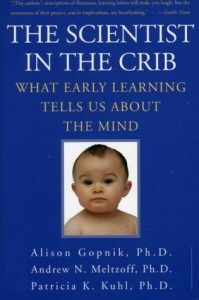 His discoveries about imitative learning by human infants have shaped our understanding of mechanisms of learning in the first three years of life. His research connecting early social-cognitive and language learning have illuminated longstanding issues about the origins of human speech and language. Meltzoff’s work on the brain mechanisms of imitation and neural body maps are serve to connect infant brain and behavior. His research on preschool- and elementary-school children has focused on social role models and how cultural stereotypes influence young children’s interest, achievement, and aspirations in STEM disciplines. Dr. Meltzoff has published more than 250 scientific papers, and co-authored several books including The Scientist in the Crib and Words, Thoughts, and Theories. He is the recipient of prizes including a MERIT Award from the National Institutes of Health, the Kenneth Craik Research Award, and the Kurt Koffka Medal. Dr. Meltzoff has been invited to present his research on child development to the U.S. Congress, OECD, UNESCO, at the Vatican and the White House. 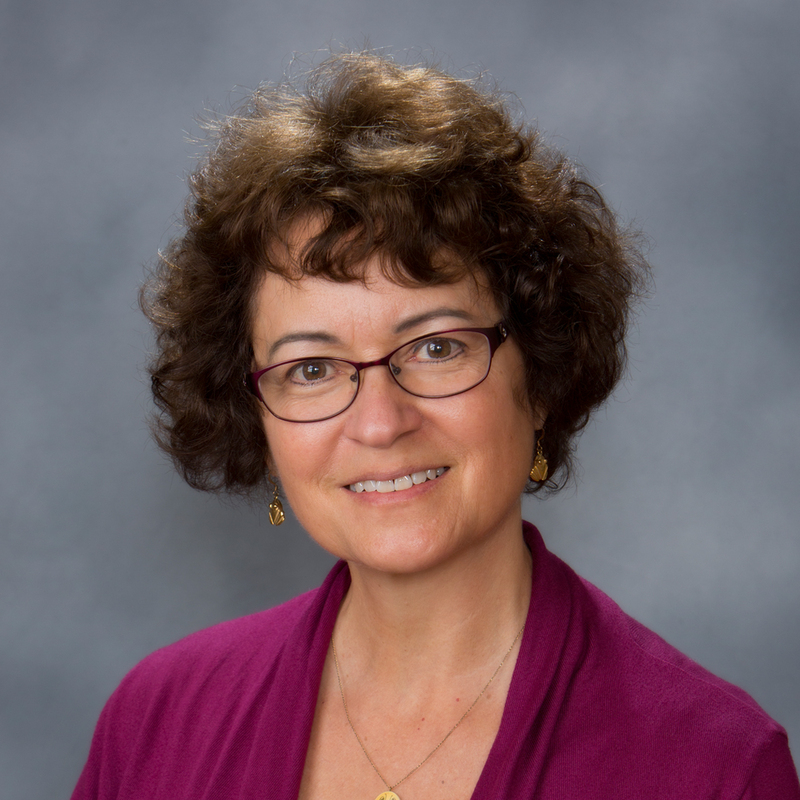 Darcia Narvaez is Professor of Psychology at the University of Notre Dame who focuses on moral development and flourishing from an interdisciplinary perspective. Dr. Narvaez’s current research explores how early life experience influences societal culture and moral character in children and adults. She integrates neurobiological, clinical, developmental and education sciences in her theories and research about moral development. She publishes extensively on moral development, parenting and education. She is a fellow of the American Psychological Association and the American Educational Research Association. Author of dozens of books and papers, her forthcoming books include: Basic needs, wellbeing and morality: Fulfilling human potential; Indigenous Sustainable Wisdom: First Nation Know-how for Global Flourishing (with Four Arrows, E. Halton, B. Collier, & G. Enderle) and Primal Parenting (with A. Braden). One of her recent books, Neurobiology and the Development of Human Morality: Evolution, Culture and Wisdom won the 2015 William James Book Award from the American Psychological Association and the 2017 Expanded Reason Award. She is on the boards of Attachment Parenting International and the Journal of Human Lactation. She writes a popular blog for Psychology Today (“Moral Landscapes”). 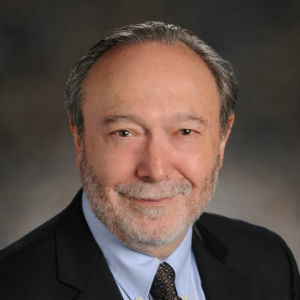 Stephen W. Porges is Distinguished University Scientist at Indiana University where he is the founding director of the Traumatic Stress Research Consortium. He is Professor of Psychiatry at the University of North Carolina, and Professor Emeritus at both the University of Illinois at Chicago and the University of Maryland. He served as president of the Society for Psychophysiological Research and the Federation of Associations in Behavioral & Brain Sciences and is a former recipient of a National Institute of Mental Health Research Scientist Development Award. He has published more than 300 peer-reviewed papers across several disciplines including anesthesiology, biomedical engineering, critical care medicine, ergonomics, exercise physiology, gerontology, neurology, neuroscience, obstetrics, pediatrics, psychiatry, psychology, psychometrics, space medicine, and substance abuse. In 1994 he proposed the Polyvagal Theory, a theory that links the evolution of the mammalian autonomic nervous system to social behavior and emphasizes the importance of physiological state in the expression of behavioral problems and psychiatric disorders. The theory is leading to innovative treatments based on insights into the mechanisms mediating symptoms observed in several behavioral, psychiatric, and physical disorders. 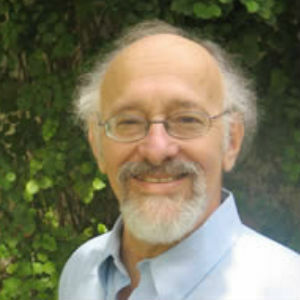 He is the author of The Polyvagal Theory: Neurophysiological foundations of Emotions, Attachment, Communication, and Self-regulation (Norton, 2011), The Pocket Guide to the Polyvagal Theory: The Transformative Power of Feeling Safe, (Norton, 2017) and co-editor of Clinical Applications of the Polyvagal Theory: The Emergence of Polyvagal-Informed Therapies (Norton, 2018). He is the creator of a music-based intervention, the Safe and Sound Protocol ™, which currently is used by more than 600 therapists to improve spontaneous social engagement, to reduce hearing sensitivities, and to improve language processing, state regulation, and spontaneous social engagement. 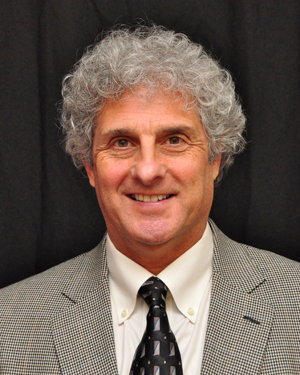 Dr. Allan Schore is on the clinical faculty of the Department of Psychiatry and Biobehavioral Sciences, UCLA David Geffen School of Medicine, and at the UCLA Center for Culture, Brain, and Development. 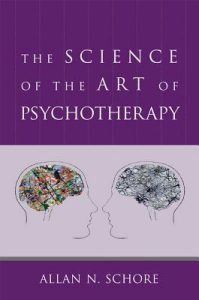 He is author of four seminal volumes, Affect Regulation and the Origin of the Self, Affect Dysregulation and Disorders of the Self, Affect Regulation and the Repair of the Self, and The Science of the Art of Psychotherapy, as well as numerous articles and chapters. 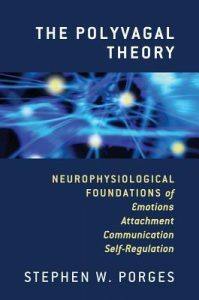 His Regulation Theory, grounded in developmental neuroscience and developmental psychoanalysis, focuses on the origin, psychopathogenesis, and psychotherapeutic treatment of the early forming subjective implicit self. 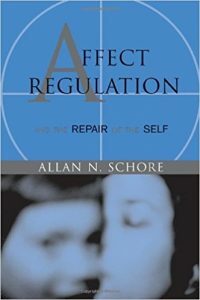 The American Psychoanalytic Association has described Dr. Schore as “a monumental figure in psychoanalytic and neuropsychoanalytic studies. Interested in learning more about our International Research Advisory Board? See their recent books below, or sign up for our newsletter to receive SRI’s updates.